In preparing for their phase 1 peer reviews member jurisdictions may need advice on any aspects of their legal and regulatory framework that it would be useful to address before the commencement of the review. A pre-assessment can help identify any weaknesses that could be fixed by new legislation or other action in time for the changes to be taken into account in the peer review report. This can improve the prospects of the jurisdiction receiving a good outcome to its phase 1 review. A pre-assessment can be broadly based, covering all relevant laws, or it can focus or particular laws that the jurisdiction requests advice on. A jurisdiction that has undergone a phase 1 peer review may need assistance in preparing for the next stage, whether a supplementary review or a phase 2 review. Advice can be provided on action needed to address recommendations in the phase 1 report. This may take the form of assistance in preparing draft legislation or regulatory changes or advice on strengthening treaty networks, among other things. It may also take the form of advice on the practical implementation of the standards and the processes involved in exchange of information. Assistance can be provided on the organisational arrangements for handling requests for information, including how to ensure timeliness of responses, the confidentiality of information and efficient and effective communication. Assistance may be given on the setting up of an EOI Unit and on the development of tools and manuals to facilitate exchange of information. The Global Forum Secretariat is willing to consider requests to make presentations to relevant authorities involved in the peer review process in member countries. This may take the form of a one or two day programme within the country to explain the peer review process, the roles of the various stakeholders and how they can work together to make the peer review a success. This can be geared to the needs of the particular country and may be helpful to the competent authority or central point of contact in setting up a working group of all the agencies that need to be involved in the review. The Global Forum also runs regional seminars for groups of countries focussed on phase 1 or phase 2 aspects of the peer review process. These are open to non-members as well as members and are a good way to share experiences and improve familiarity with the work of the Global Forum. 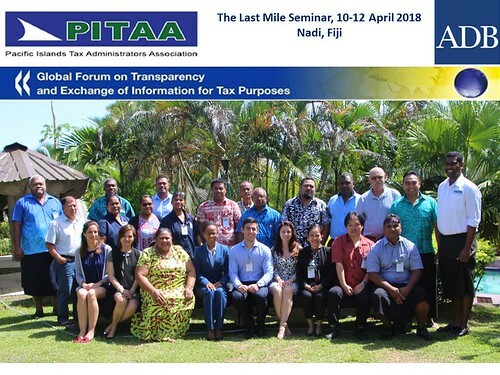 The Global Forum has developed a “Last Mile” seminar designed to enhance the familiarity of tax auditors with exchange of information and its benefits for domestic tax purposes. This can be run for individual countries or groups of countries. The objective of the seminar is to sensitize tax auditors to EOI and to help them make effective use of EOI mechanisms for addressing cross border tax evasion by increasing the volume and quality of outgoing requests. The Global Forum Secretariat provides an EOI database and tracking system to all its members, which was developed in collaboration with the World Bank/IFC. The Global Forum and other international organisations provide technical assistance in all parts of the world. For more information and for submitting requests for technical assistance please contact the Global Forum Secretariat at gftaxcooperation@oecd.org or or for government officials seeking confidential guidance, use our "Helpdesk".